A zombie apocalypse is coming to Chicago. “The Walking Dead Experience – Chapter 1,” a traveling two-day immersive theatrical attraction, is coming to the Donald E. Stephens Convention Center May 28 and 29. Described as an "extremely elaborate production with state-of-the-art special effects, sets [and] professional performers," the 30-minute attraction drops participants straight into the world of the hit AMC show and lets them experience walking through the small town at the center of the series when zombies began their rampage. Participants, put into small groups, can choose to be the humans fighting off zombies or the walkers themselves. 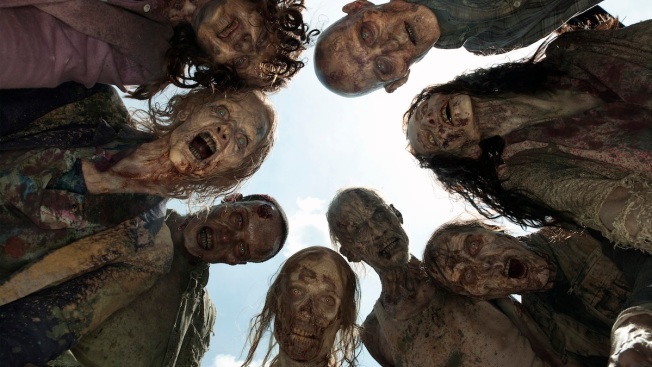 "The Walking Dead Experience is an extremely intense, realistic, horror attraction," event coordinators said online, noting participants must be 15 years or older and pregnant women and those with health issues are encouraged not to attend. Survivor: No makeup applied, come as you are for the 30-minute experience. Walker: Get full make-up to look like a walker and perform in the attraction. Hero Walkers: Get full make-up application and prosthetics and perform in the attraction. Sole Survivor: Walk through the experience in a small intimate group for maximum interaction and high level scares.